If you have decided to divorce your spouse, contact an experienced family law attorney for advice as soon as possible. Divorce is a big step in anyone's life, and before you commit yourself to a decision you should make sure you understand the legal implications. 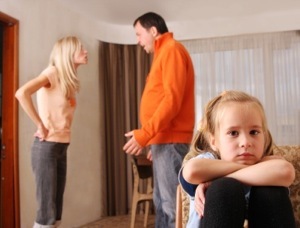 Divorce lawyer John M. Kenney offers a free initial consultation to answer your questions. New Jersey and Pennsylvania are equitable distribution states, which means that all property acquired during your marriage will be divided in an equitable manner. Equitable doesn't always mean 50-50. In Pennsylvania, family law judges can consider marital misconduct when deciding how assets will be divided, which can lead to an emotionally charged proceeding when it comes to property settlement. Property you had before the marriage, as well as gifts and inheritances received during the marriage, are yours to keep as long as you have documentation showing the separate nature of the property. Spousal support or alimony can be awarded, based on such factors as the length of the marriage, the health of each party, and the ability of each party to earn income. If you have children, one of the parties typically will have primary physical or residential custody of the children while the other party will have visitation. The party with visitation will be responsible for paying child support based on a state child support formula. After practicing law in southeastern Pennsylvania and New Jersey for more than 20 years, John M. Kenney knows how family court judges have decided property settlement, spousal support, child custody, and child support disputes in the past. Based on the facts of your case, the lawyer can let you know what you can expect in your case before you go through the time and expense of a contested divorce proceeding. Mr. Kenney is known for honest, straight-forward communications with his clients. Free divorce consultation: Contact attorney John M. Kenney in Fairless Hills, Pennsylvania, for a free initial consultation about your divorce case.